AA Self Storage offers a range of unit sizes to best suit your self storage needs. Renting storage in South Hill, VA from AA Self Storage is also affordable and convenient, as we provide several payment options, such as online payments, automatic billing and over-the-phone. No matter your needs, AA Self Storage has a storage unit in South Hill, VA for you — your belongings are secure with us. Contact our office to learn more about delivery prices or starting your own portable storage company, or to hear about our specials. View our storage center from our online photo gallery, or visit us today. 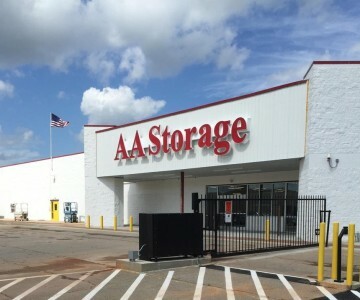 AA Self Storage offers several self storage options and more in our South Hill, VA location and throughout the states of Virginia and North Carolina. Our locations include Lynchburg, VA and Henderson, Wilmington, Raleigh, Butner, Oxford, Porters Neck and Jacksonville, NC.